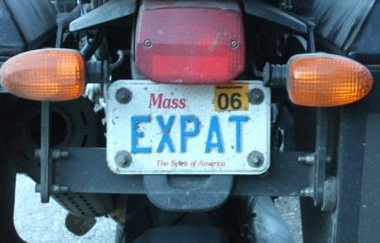 When do expats become locals? A stranger stopped me in the supermarket yesterday and asked me “Are you a local?” I am English and currently living in Australia in a town where it is generally believed that you must stay at least ten years before you are considered a local. Having been here just under a year I wasn’t confident that ‘yes’ was the correct response. Remembering that I was in the supermarket that I visit weekly to restock the fridge though, I hazarded a ‘yes’. “Oh great,” he said “Can you tell me where they hide the bacon?” Of course I could, so to that extent at least, I am a local here. But I am also an expat and, friendly and accepting as the Aussies generally are, I will always be considered primarily to be a ‘pom’ while I live here. This doesn’t worry me but it did make me wonder when, if ever, do expats become locals? They definitely can and do become locals. Live anywhere long enough and you are bound to become a familiar face eventually. There are various indicators of increased confidence in a place that you notice when you set up somewhere new, such as being able to give directions (albeit only to bacon so far), needing less help to master daily activities and not getting lost (so frequently at least). The extent to which an individual feels like a local depends on their behaviour though. Once you have established human relationships in a place you feel more local and it is for this reason that it is essential to put yourself out there when you relocate. Your adopted community will accept you more readily the more involved in it you are. Anywhere that attracts expats has an area that is especially popular with expats, possibly because of easier communications or enormous cultural differences between the expat nationalities and the host country. These ‘expat ghettos’ offer a useful stepping block to new expats, especially in a country that speaks another language or is very different from ‘home’. They can also offer support to homesick or struggling expats who long to meet someone who ‘just understands’. However, expats who only spend time in such groups, it can be argued, may as well have stayed at home. Where expats keep to themselves and do not integrate with the locals they can be accused of ‘lording it up’ overseas but contributing nothing to their adopted homeland. This can leave expats disengaged with their new homes and can even lead to animosity between locals and expats. I reckon that assuming you accept more social invitations than you decline, and are not some sort of hermit, it takes at least six months living in a place to decide if you can settle somewhere. Whether you feel 'local' or an 'expat' will depend on how well your new home suits you and how well you suit it. Do you think it is important for expats to aspire to one day become locals?